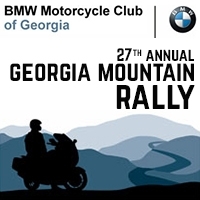 This year at the 27th Annual Georgia Motorcycle Rally, we are pleases to announce that we will be hosting world famous travellers Simon & Lisa Thomas, better known as '2 Ride The World'. They will be holding a number of adventure 'Master Classes' and sharing their expertise and experience with us all, alog with a showing of their digital presentaion 'Lessons From The Road'. The Overland Expo is one of the world's premier Adventure Expo's with hundred of session-hours of classes, vendors, test rides, workshops and more. 2017 see's the Expo, move to a new location just 5 mins from Flagstaff. With improved facilities and hundreds of exhibitors 2017 is going to be a great event. 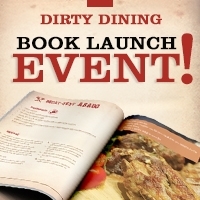 DIRTY DINING An Adventurer's Cookbook will be launched at the 2017 Overland Expo west in Flagstaff. This unique cookbook has been a labour of love and taken 2-years to complete and we're excited beyond words to be able to share it with you now. We will have a very limted supply of just 100 special edition Overland Expo copies for signing so don't miss out and make sure you grab your copy early. 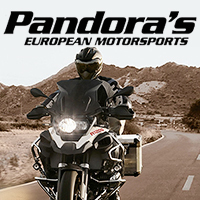 Pandora's European Motorsport our excited to announce we will be hositng an 'Adventure Skills Klinic' or A.S.K for short. This a special 2-day event created and presented by the 2 Ride The World team of Simon & Lisa Thomas. To be held on the 19th and 20th May 2017. This is a NOT TOO BE MISSED EVENT! To help celebrate the opening of our new floor here at Hermy's we've got a treat for you. 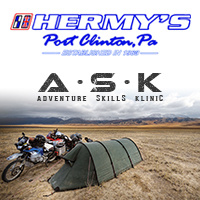 Simon & Lisa Thomas (aka 2 Ride The World) will be here and sharing their new ASK program. What's ASK...Adventure Skills Klinic. After 14-years on the road, these two have seen it, ridden it and lived it. Afetr a day of master classes we'll round things up with their incredible evening digital presentation. If you've ever wondered what it must be like to ride around the world, then come and join us and Simon & Lisa and find out. You'll be glad you did. Please RSVP at the store.